This Is Why We Podcast! Michael Rapaport aka The Gringo Mandingo aka Scoop Rapaport aka Bird aka White Mike opens up SOLO off the top to discuss: Being at the Wilder vs. Fury Ruckus Live, Coming in First Place in The Howard Stern Fantasy Football League & Beating Joe Budden to make the playoffs in his Money League, The New York Knicks future & The Greek Freak’s game, Michael biting his tongue at lunch, Meek Mill & Travis Scott’s Latest Album Review, Watching Keeping Up with The Kardashians, Ariana Grande & Pete Davidson Breakup Bubble, RIP George H.W. Bush, “Son of a Bush” by Public Enemy, Michelle Obama’s Book & Message About Having It All, SFOTW & more. Then it’s an honor & a privilege to have 2x Boxing World Champion (IBF Junior Welterweight, WBA welterweight) & Showtime Boxing Commentator Paulie Malignaggi is back on the I AM RAPAPORT: STEREO PODCAST with Michael Rapaport to discuss: Who he thinks won Wilder vs Fury & why, why Michael won’t be going to a live fight again, who won the jab war, Deontay Wilder being Arturo Gatti-esque, him not throwing any combinations, Floyd Mayweather Jr. talking to Paulie between a round about who he thought was winning, The Split Decision, scoring in boxing & the fight, Tyson Fury controlling the fight with the jab, how Wilder can improve, upcoming Pacquiao vs. Broner fight & more. Finally it’s an honor & a privilege to have 2x Super Bowl Champion Linebacker & Future NFL Hall of Famer James Harrison (Steelers, Patriots, etc.) 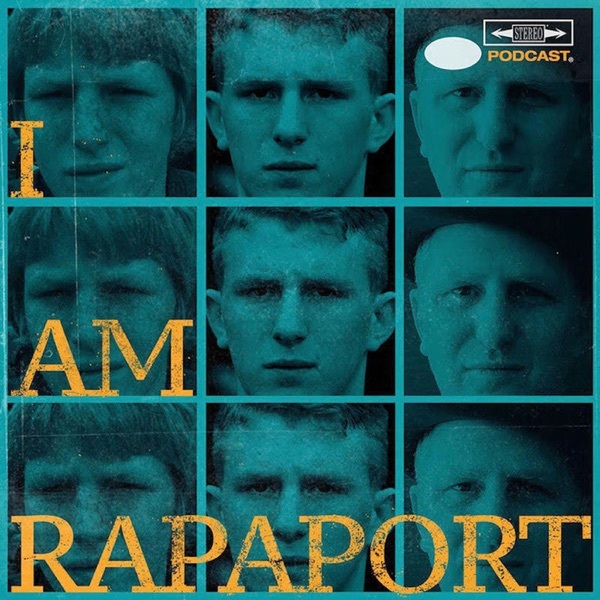 on the I AM RAPAPORT: STEREO PODCAST to discuss: Going Undrafted out of College, Who recruited him and why he chose Kent State, BBGate, Cupping & Acupuncture, Money spent on Treatment, his workout schedule now, The Le’Veon Bell Situation, Adjusting to Rule Changes in Today’s NFL, The impact of Fantasy Football, CTE, His sons’ playing football, Watching Guys Be playing with, Ben Rothlisberger, Facing a Power RB vs Finesse RB, Toughest Running Backs to face, Tom Brady, Aaron Rodgers, Drew Brees, Trash Talkers, Adrian Peterson, Peyton Manning, Joe Flacco, Cam Newton, Getting into Acting, Hating Michael since Higher Learning & a whole lotta mo’! This episode is not to be missed!